Cook the pasta according to the directions, under cooking it by about 2 minutes. Since this will continue to cook in the oven, you want the pasta to be slightly under cooked. Drain the cooked pasta and pour into a grease casserole dish and set aside. While the pasta is cooking, start your white sauce. Melt the butter in a saucepan and add the flour, stirring and cooking for about 5 minutes. You don’t want it to brown, just cook out the raw flour taste. 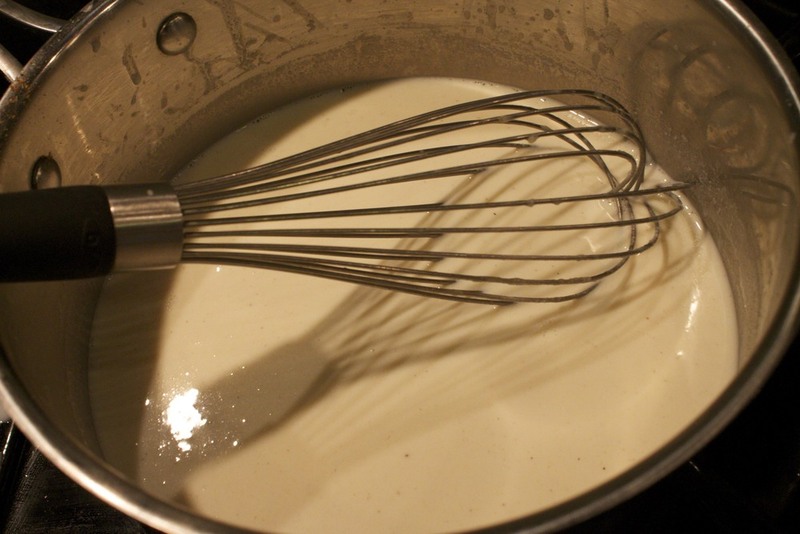 Slowly add the milk, mixing well with a whisk to smooth out any lumps that might form. Add the chopped serrano and grate some fresh nutmeg into the white sauce. 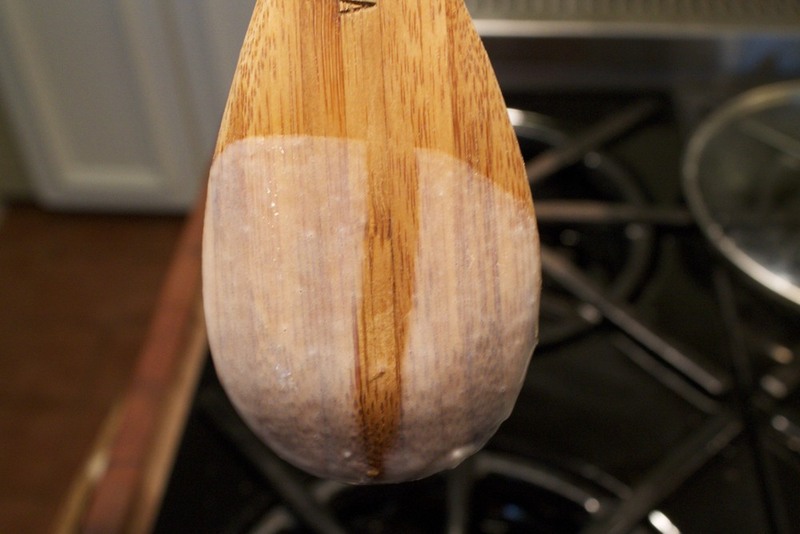 Cook until the sauce thickens enough to coat the back of a wooden spoon and leaves a line when you run your finger through it. Now add the cheese, one type at a time, stirring until melted. Now add some freshly ground pepper. 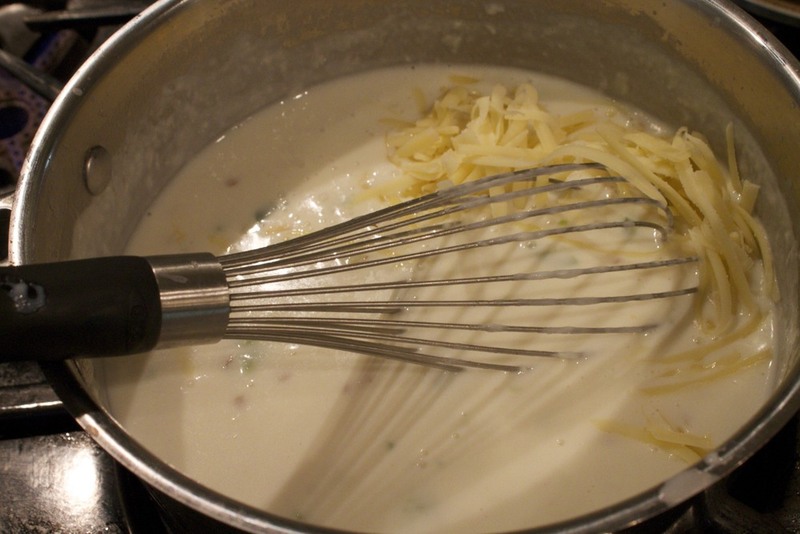 Once all the cheese is melted, start adding it to the pasta in the casserole.a little at a time, stirring to incorporate. 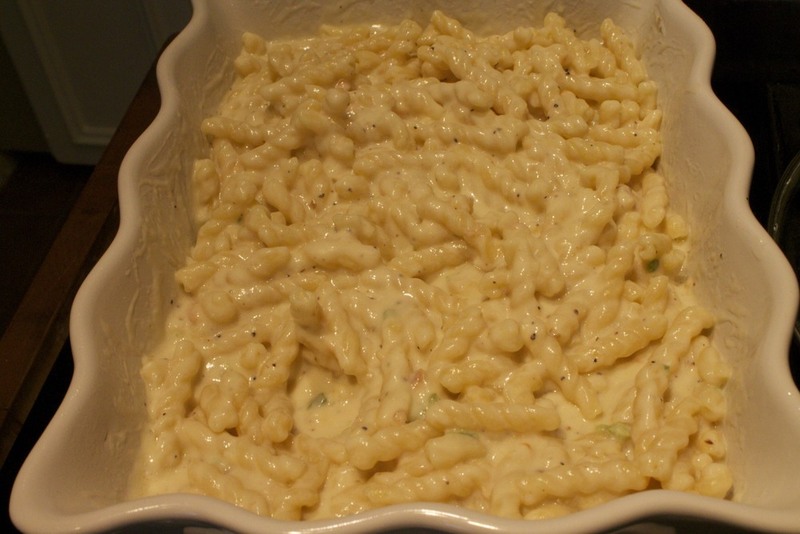 keep adding the cheese sauce until all the pasta is well coated, but not soupy. You may have some sauce left over. Just refrigerate any leftover sauce and use it later. 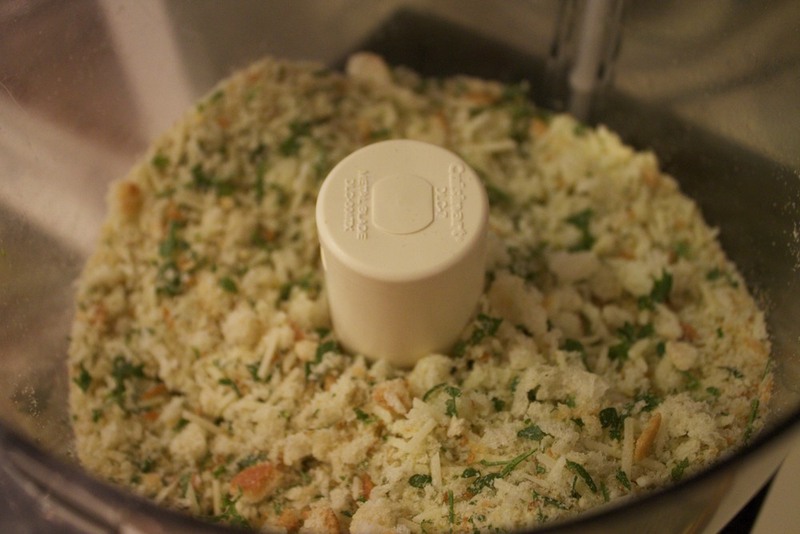 Mix the breadcrumbs, parsley, and parmesan cheese. 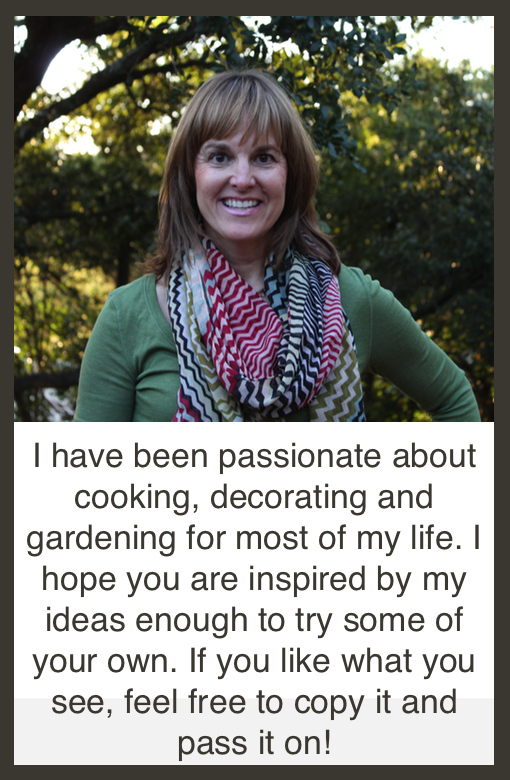 I pulse them together in my food processor. Now sprinkle the crumbs over the top of the casserole and drizzle with olive oil. Cover with foil and bake at 350 degrees for 20 minutes then remove foil and bake another 10-15 minutes until the topping is golden brown. Posted in In The Kitchen and tagged with macaroni and cheese, side dish, smoked mozarella. August 8, 2013 by Lynn Adams.